We get it. When it comes to your fleet, you can't afford mistakes. You need the right vehicles, customized to your specific business needs. You need a dealer you can count on. You need every dollar to count. Partner with John L Sullivan Chevrolet, your Business Elite dealer. We'll take the time to learn about your unique business challenges and offer you real solutions. We specialize in strong, long-term partnerships. And we realize that your success is the ultimate measure of our success. 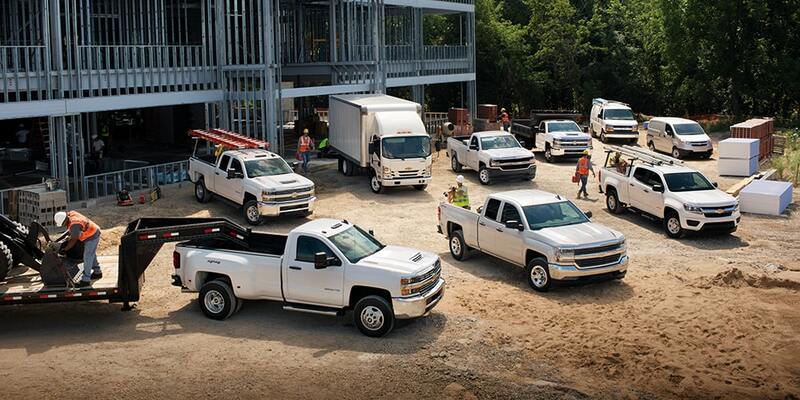 John L. Sullivan Chevrolet offers commercial vehicles to the greater Sacramento area. Our vehicles will ensure that you can fully meet the demands of your work. If you have any questions regarding availability please call us: (916) 788-8710.